For those swimmers and parents new to competing it can be quite a daunting experience. you need on the day. not allocate them a heat. onto poolside. You run the risk of these being damaged or unfortunately stolen. 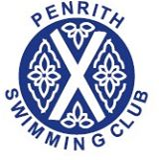 you report to the person in charge from Penrith Swimming Club. meal too close to the start of the gala. Take plenty of water and fruit squashes. NOT PERMITTED: fizzy drinks such as Red Bull. the organisers of a gala will consider. butterfly, backstroke, breaststroke and freestyle. always backstroke, breaststroke, butterfly and freestyle. • Personal Best (PB) - A swimmer’s personal best time for a given event. organisers of a gala will consider.